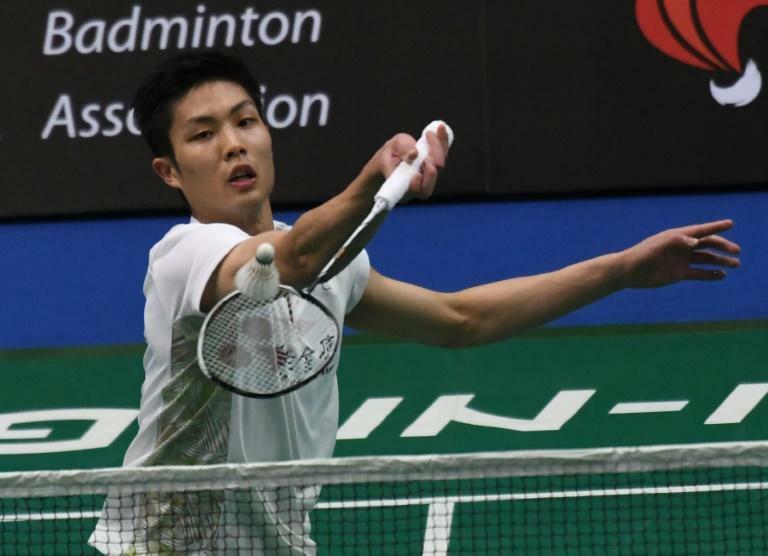 Singapore Open top seed Chou Tien Chen on Friday beat South Korea's Lee Hyun Il 21-18, 21-6 to book himself a spot at the men's singles semifinals. It was the first major test for the Taiwanese world number 7 but he downed 38-year-old Lee in just 31 minutes. "My opponent slowed down in the second game, and I managed to take advantage of that," Chou said after the match. He will face China's Qiao Bin at the Singapore Indoor Stadium on Satuday while compatriot Hsu Jen Hao will face Vietnam's Nguyen Tien Minh. Defending men's singles champion B. Sai Praneeth crashed out on day one of the tournament after he was defeated by Japan's Yu Igarashi 16-21, 21-16, 21-18. The Singapore tournament is the last of four competitions held over as many weeks in the lead up to the July 30-August 5 World Championships in Nanjing. This has resulted in a lack of star power from top players like Danish world number one Viktor Axelsen and Malaysian world number two Lee Chong Wei, who have opted to give Singapore a miss. In the women’s singles, Thailand's Nitchaon Jindapol withstood a spirited challenge from Taiwan's Chen Su-yu 25-23, 21-16 to secure a spot in the semi-finals. Repeating the Uber Cup semi-finals match, Nitchaon will face China's Gao Fangjie who toppled compatriot Cai Yanyan 16-21, 21-16, 24-22. Olympic mixed doubles champions Tontowi Ahmad and Liliyana Natsir maintained their dominance in their competition with a comfortable 21-16, 21-15 victory over Hong Kong's Reginald Lee and Chau Hoi-wah. They will face fellow Indonesians Akbar Bintang Cahyono and Winny Oktavina Kandow at the semifinals. In men's doubles, Ou Xuanyu and Xiangyu Ren edged out Malaysian duo Mohamad Arif Abdul Latif and Nur Mohd Azriyn Ayub 9-21, 21-16, 21-15, and will take on compatriots Han Chengkai and Zhou Haodong on Saturday. In the women's doubles, top seeds Jongkolphan Kititharakul and Rawinda Prajongjai of Thailand sent Chinese pair Tang Jinhua and Yu Xiaohan packing in a closely fought match, edging them out 21-19, 26-24.